From the classic Gladiator movie comes this Maximus Decimus Meridius, the Roman general who became a slave, the slave who became a gladiator. 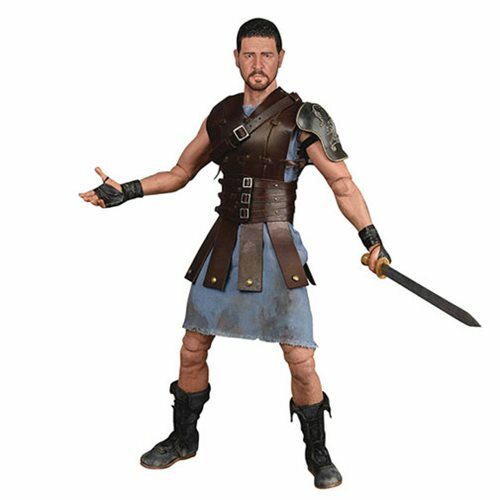 Featuring a fully realized likeness of Russell Crowe in his defining role, the figure is clothed in his gladiatorial armour and comes complete with multiple weapons. Produced in a worldwide limited edition of only 2,000 pieces, the figure is numbered and comes with a certificate of authenticity.